For the past 18 years, I have lived within spitting distance (well…just about) of Ellington Field in Houston Texas. I can still remember the first day I learned about the very popular annual air show (Wings Over Houston). I was out shopping with my aunt at one of the nearby outdoor shopping centers when all of a sudden I heard a buzz of activity in the sky. I looked up and was shocked and amazed to see TONS of airplanes in the sky above my head. Not just any airplanes…military planes. I’ll admit…I was terrified! I thought we were at war! My aunt explained it was just the air show, and watching the air show from afar has just become a fact of my life every year! This year will be the first year we take our children to the air show “properly” (we’ve always just gone to a nearby playground to watch, but I KNOW we definitely weren’t getting the full effect of how awesome it is from there!). I am SO excited! 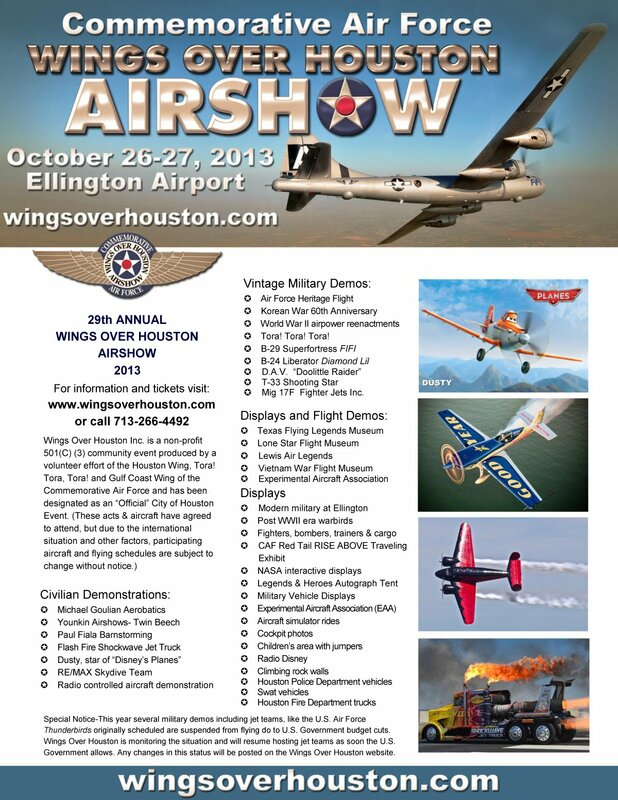 This year the Wings Over Houston airshow is on October 26-27th. 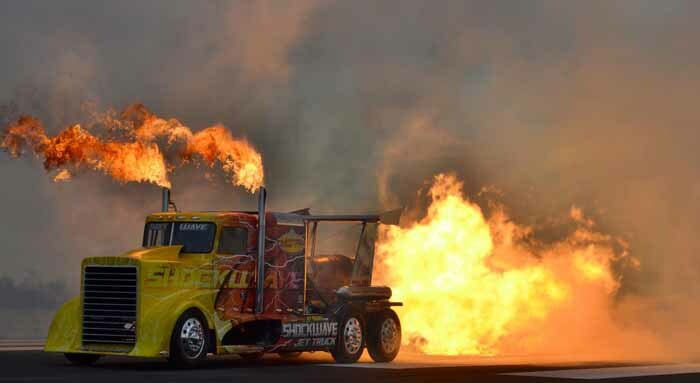 I’ve been looking up the schedule, pictures and videos from the airshow and I know my kiddos will have a blast. You can view the promotional one sheet for this event here. 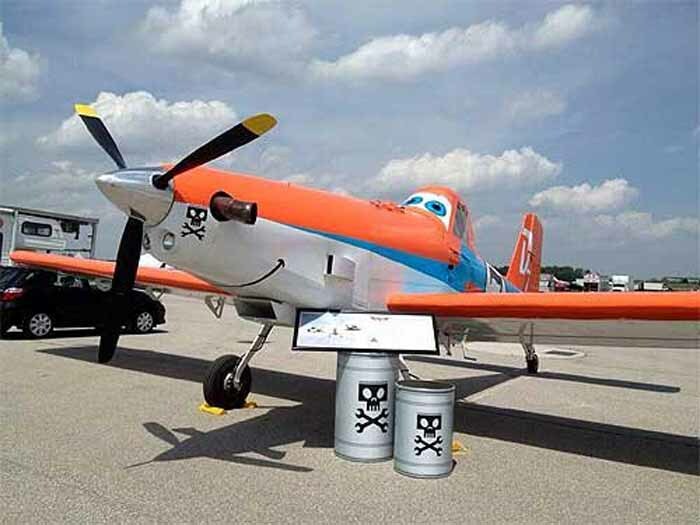 I think my kids will be most excited to see Dusty from Planes! We haven’t seen the movie yet, but they know who Dusty is and I think they’ll be so excited! 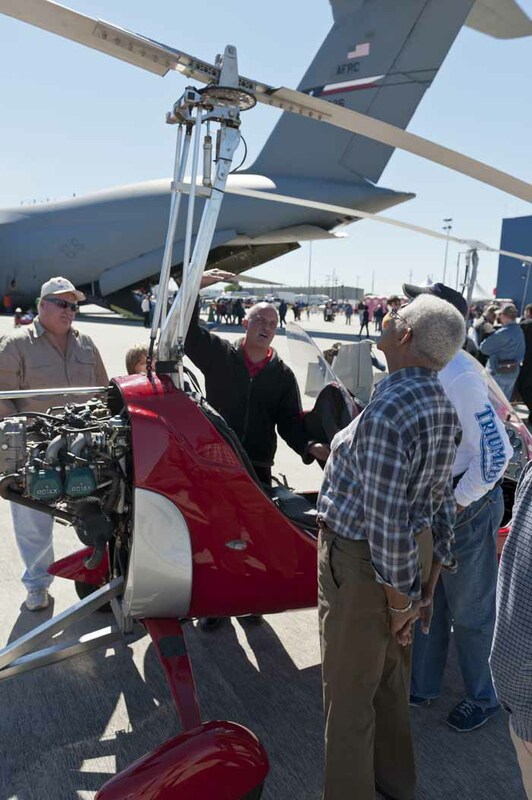 The best part about Wings Over Houston is that it is completely a family friendly event. There is fun for ALL ages and I know you’ll have a blast when you attend this year! You can keep up with Wings Over Houston on Twitter and Facebook! I, along with several other bloggers, have teamed up to help Wings Over Houston giveaway some AWESOME prizes! Airplane ride ($300-400 value), two nights stay at the South Shore Resort and a family pack of tickets which are good for 2 adults and FOUR kids. Second Place Prize – Family pack of tickets — 2 Adults and 4 children – value $45.00. I mean seriously, who wouldn’t want to win these prizes? So awesome! This giveaway begins on Sunday October 12, 2013. Finally, I leave you with this awesome video so you can learn a bit more about Wings Over Houston! Winner will be selected and contacted via WOH. Family Friendly Frugality is not responsible for prize disbursement. 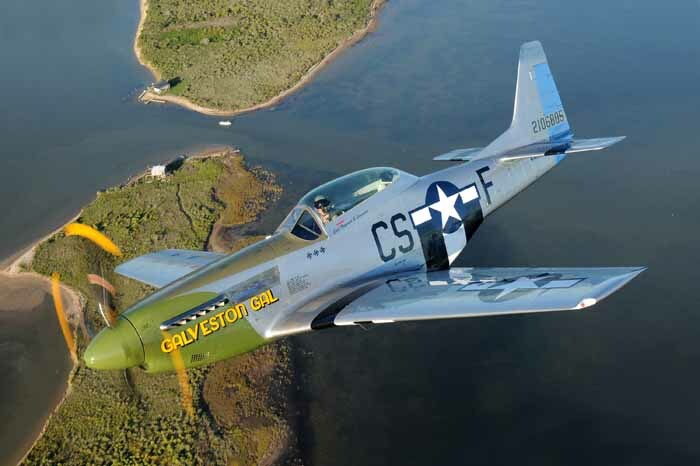 We will be receiving free tickets to attend the Wings Over Houston airshow in exchange for this post. All opinions are my own. My boys would love it all… but Dusty would probably be my favorite!! My kids would love to see Dusty! 2 of my 3 kids Birthday’s are that weekend turning 9 and 10. We live by the big airport here in Houston. 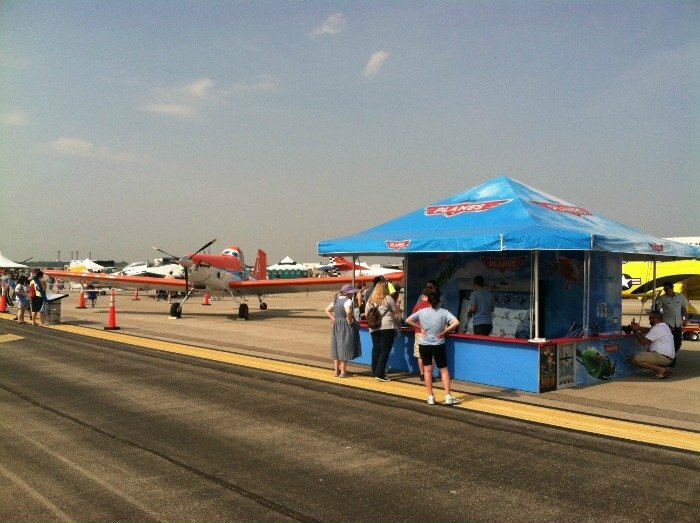 We have actually nevered been to the official “Wings over Houston”. I would love to be able to take them. Thanks so much for this opportunity!!! I have never been in the 12 years I have lived in Houston. My kids are at a right age when they can finally enjoy an event of this kind. 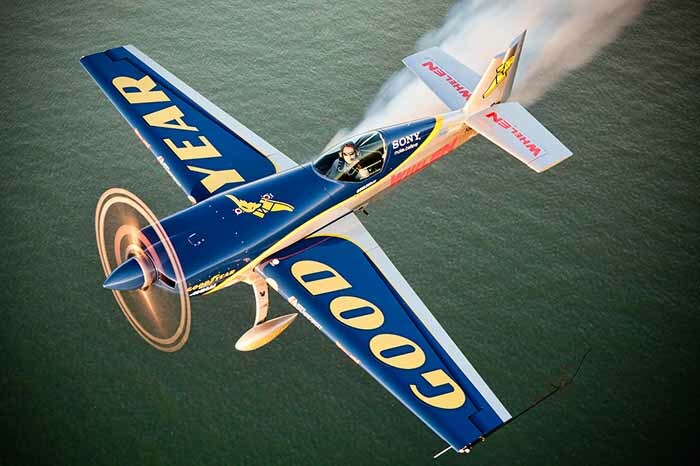 Can not wait to see the stunt planes or dusty. I used to live in clear lake and could see the show from my house. Would love to win! Great little getaway for my family! I was notified today…….I am the grand prize winner!!!!! I am so excited!!!! Oh wow! Congratulations!!! That’s awesome news! Congrats Teri! You’ll have to come back and update us on the hotel and the airshow!